The Echo Dot (3rd Gen) has a new fabric design that is reminiscent of the 2nd Gen Echo. 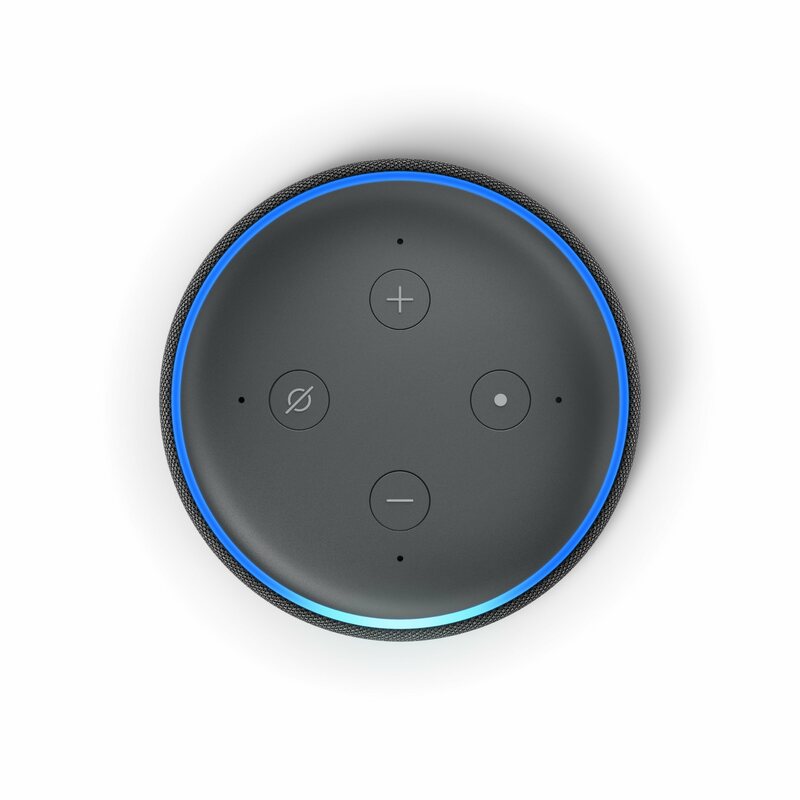 The new design makes the Echo Dot feel like it’s a piece of furniture. You can get the new Echo Dot in three fabric finishes, Charcoal, Heather Gray and Sandstone. 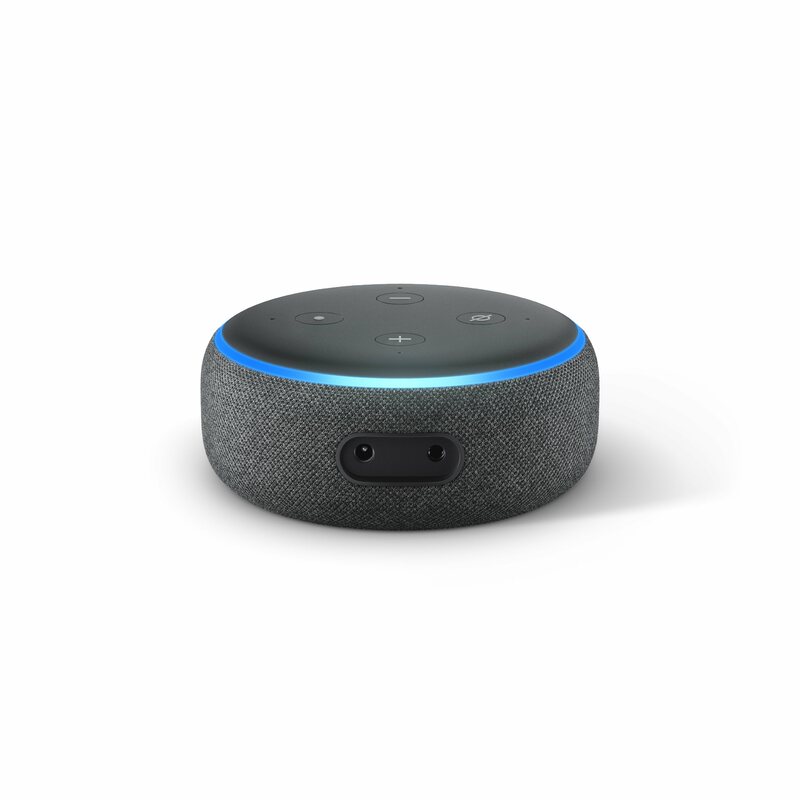 The new Echo Dot comes with volume buttons, mic mute and action button like other Echo devices. The back of the device is where you’ll find the 3.5mm audio jack and the power port. The speaker on the Echo Dot (3rd Gen) has been vastly improved and has a lot more bass. The audio quality is a lot like the 2nd Gen Echo and 2nd Gen Echo Plus. The far-field microphones on the Echo Dot have been improved so then Alexa can hear you better but there were a few times, where Alexa couldn’t hear me. The Echo Dot (3rd Gen) is available now for $69.99 CAD from Amazon.ca and BestBuy.ca. The Echo Dot (3rd Gen) has Amazon Alexa built-in. Amazon says that there are over 10,000 skills available for Echo devices including ones by Air Canada, TD Bank, Telus, CBC, The Weather Network, Bank of Montreal. There are some issues where not all Alexa skills are available for Canadian Echo devices (or more specifically ones that are set to Canadian English). In the last year, Amazon also introduced a new Alexa app which makes it easier to navigate, there are some issues with long app load times and some menu items feature twice in the app. The Alexa app is split up into four areas, Home, Communicate, Play and Devices. Home is pretty self-explanatory and shows you things like the current weather and your recent Alexa queries. Communicate is where you can talk to your friends and family via their Echo devices or Alexa app via the Drop-In feature. Play is where you can control media playback on your devices and see all your linked music/podcast services. The Devices section of the Alexa app shows you all the Echo devices and smart home products connected to your Amazon account. This is also where you can easily add or connect services to your Echo. The app also allows you to talk to Alexa without being next to your Echo device. One thing that was a bit odd was in the slide-out menu, you can have an Add Device option, yet there’s already a Devices section of the app. 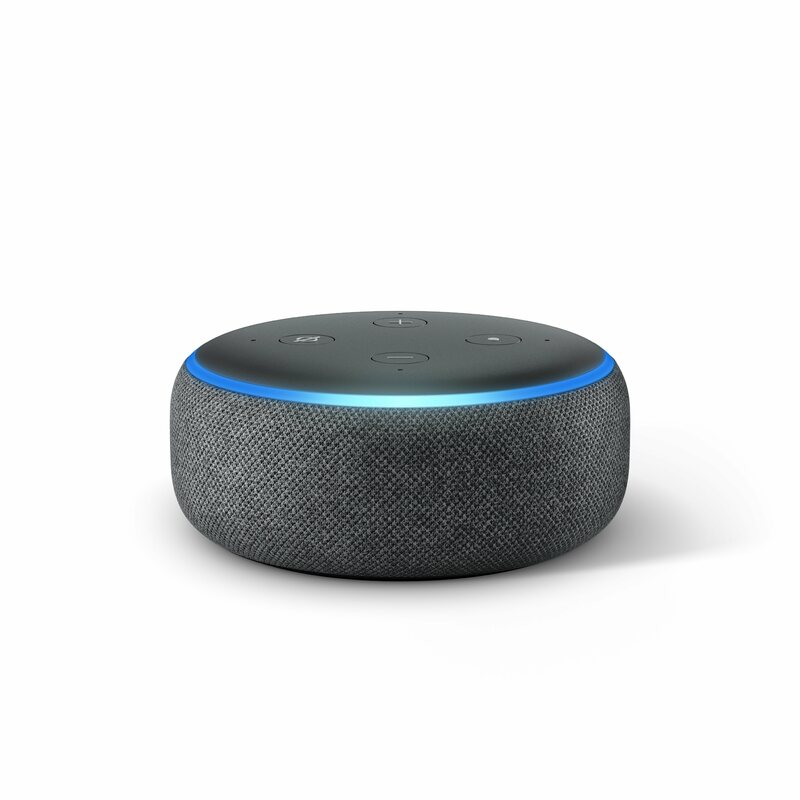 Overall, the Echo Dot (3rd Gen) is even better than the previous one, with a better speaker quality, new design and improved microphones (for the most part).